An exciting opportunity has arisen for the position of a Locum Consultant in Elderly Medicine at York Hospital. This is a 10 PA Locum appointment for a minimum period of 6 months. This could be a great opportunity for a Senior Registrar interested in gaining some ‘acting up’ experience. 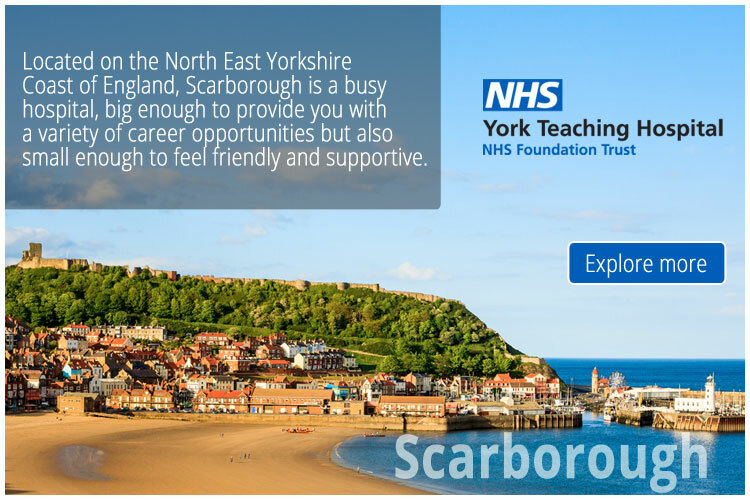 Applicants should have established skills and competence in care of the elderly, excellent communication and team working skills, a strong commitment to teaching and service development are essential.The post will include on-call commitments, currently 1:11 weeknight and 1:11 weekend rota. An Older People’s Hip Fracture ward (Ward 25), caring for Older People patients who have fractured their hip. An Acute Medical Unit for Older People (AMB) for acute admissions to clinically stabilise patients before being transferred to our downstream wards. We also have two Community Rehabilitation Hospitals for Older People based at Whitecross Court (off Haxby Road) and St Helen's (off Tadcaster Road). Outpatient clinics are held at York Hospital, The New Selby War Memorial Hospital, Pocklington and the Community Hospitals.